In his APS–David Myers Distinguished Lecture at the 2010 APS Annual Convention, esteemed psychological scientist Ludy T. Benjamin, Jr., challenged his colleagues to focus our efforts on developing usable interventions for education. He argued that relatively little of our extensive knowledge about learning and education makes its way into classrooms. In the past few decades, a growing number of promising practices have been moved from the lab and have been demonstrated to have potential in the classroom. Few practices, however, have been designed for easy use across educational contexts, especially in the absence of the researcher. 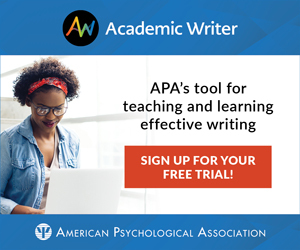 The APS Fund for Teaching and Public Understanding of Psychological Science seeks to address this need for translational research with a new grant program: “Translating Research to Improve the Teaching of Psychological Science.” Through this grant program, the Teaching Fund encourages researchers to develop teaching interventions and an associated knowledge base — built upon well-established principles — that can improve the teaching of psychological science. This initiative’s authors envision systematically moving an established principle from laboratory research through levels of complexity — from the lab to an individual classroom intervention to a generalizable, evidence-demonstrated design. The objective is to determine the necessary conditions for evidence-based interventions to succeed in authentic educational contexts. A scientifically credible path from lab to classroom is not an easy one. The integrity of promising findings from controlled contexts can be diluted in complex contexts with multiple activities and goals. As medical, nutrition, and agriculture researchers can attest, demonstrating the promise of an intervention in carefully controlled conditions is not sufficient to demonstrate its utility in a complex world. It does, however, move us a step closer from a promising principle to a potential practice. An effective classroom intervention must be designed to work beyond the direct control of the experimenter in authentic and busy contexts. The goal of the “Translating Research” grant program is to emphasize the critical need for an effective and usable design of a validated effect in genuine teaching contexts where interventions will interact with student, teacher, and contextual variables. As the focus of investigation moves into settings of increasing complexity, researchers need to be aware of interactions among multiple variables and the potential for unwanted side effects in areas outside the focus of the targeted interventions. For example, forced, rigorous practice may increase knowledge, but it also may adversely affect attitudes about learning and engagement. Other interventions that contribute to modest gains in learning in one area may require so much effort to implement that they detract from, or even subvert, other essential outcomes. Thus, another important goal of this initiative is to document both the practical benefits and potential costs of candidate interventions. Further information about this new initiative, including details about submitting proposals, can be found here. Questions may be addressed to the Chair of the Teaching Fund Committee, Tracy Zinn (James Madison University), at teachfund@psychologicalscience.org. Other members of the Teaching Fund Committee, in addition to the authors, are APS Charter Member Mark Costanzo (Claremont McKenna College), APS Fellow Amanda Diekman (Miami University), Sue Frantz (Highline College), Mandy Gingerich (Butler University), Rajiv Jhangiani (Kwantlen Polytechnic University), and Steve Meyers (Roosevelt University). The APS Fund for Teaching and Public Understanding of Psychological Science was established with the generous support of The David and Carol Myers Foundation. 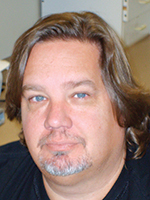 APS Fellow David B. Daniel is a Professor of Psychology at James Madison University. His research interests include cognitive development and translating findings from mind, brain, and education to usable knowledge for teaching and learning. He can be contacted at danieldb@jmu.edu. 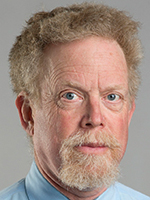 APS Fellow Neil Lutsky is William R. Kenan, Jr., Professor of Psychology at Carleton College in Canada. His research interests include the psychology of endings as well as the evaluation of teaching quantitative reasoning and psychology. He can be contacted at nlutsky@carleton.edu.